It’s been awhile since I’ve baked. Kind of a long while, actually. So for my mom’s birthday yesterday, I decided to make chocolate chip scones as a little treat and to get back in touch with my inner baker. 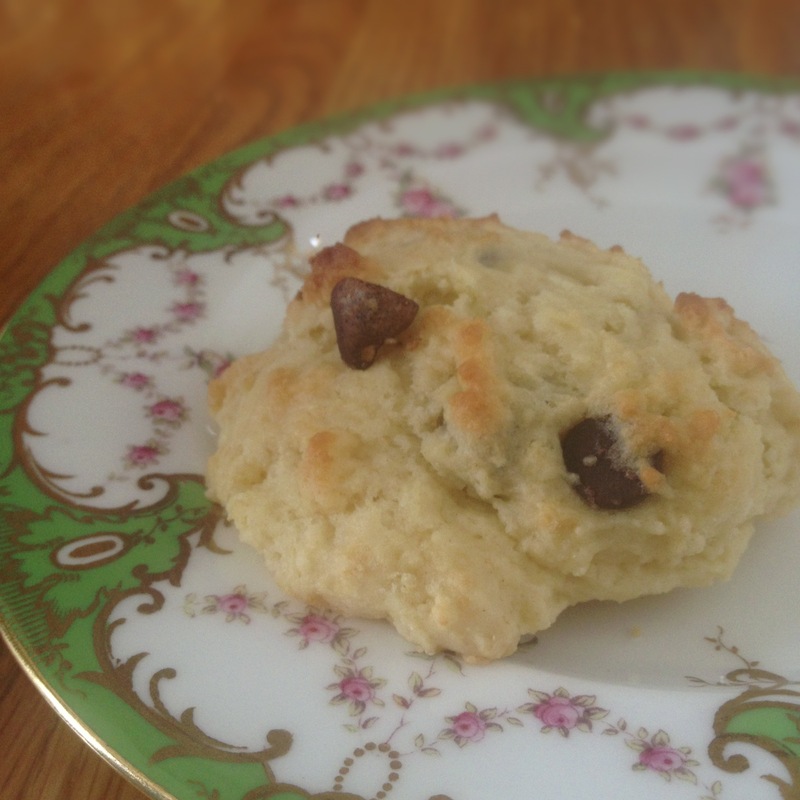 Something you may not know about scones: they are super easy to make! And if you choose to go with the more “traditional” drop shape, the cleanup is quick as a wink (first time I’ve ever used that phrase…very satisfying). Having made these scones countless times before, I was fully aware that they would be an easy refresher in baking. So it’s incredibly interesting to me that it has taken me so long to actually make them. I’ve been thinking about them for months. Ingredients were at the ready long before I blended them together yesterday. Why is it that even when we know something will be easy, it can be difficult to get started? To just get up and do it. What about the big, scary, never been done things? It’s a wonder sometimes that anybody ever does anything new – explore a new neighborhood, try a new hobby, make that call you’ve been meaning to make. Lately, I’ve been getting started on some pretty big adventures. And in some moments, I am overwhelmed by the sheer newness of them. How will I ever get to there from here, I wonder? The proverbial equivalent of staring between a stack of ingredients and the picture of a delectable looking chocolate chip scone. But of course, I’m not the first to discover that when you break down something big and new, you find that some of the pieces aren’t so new, aren’t so scary, aren’t so daunting. In fact, some of it looks downright familiar. Exploring somewhere new? You’ve played with google maps before; that’s no big deal. Starting a new job? That’s just like all the other times you’ve met new people, learned new skills, tried your best. Trying a new recipe? Look at how many of these ingredients you’ve used before. You’ve got this. So…try these scones. From start to scones on a plate (and dishes done!) it was barely 45 minutes. I promise they’re an easy new. Surprise your coworkers, treat your family, welcome the new neighbors – chocolate chip scones can do all these things. The recipe (culled mostly from the King Arthur Flour Cookbook) is below. And as you’re sharing the rewards of your baking adventure…be sure to save yourself a yummy bite or two to savor as you plan your next big start. Mix dry ingredients together thoroughly. With a pastry blender, two knives, or your fingertips, cut or rub in the butter until the mixture looks like bread crumbs. Drop large spoonfuls onto a lightly greased or parchment paper covered cookie sheet. Turn the oven heat down to 450F and bake the scones for 10-12 minutes, or until they are just beginning to brown. Let cool slightly before eating. This is wonderful Angela! I will have to try this recipe. I love scones, but they always seemed daunting some how. And I love your philosophy about breaking up the big, new things into smaller, old things. That’s where I am in my life too! Thanks, Noemi! You’ll have to let me know what you think after you try them. 🙂 Hoping all’s well in your corner of the world!